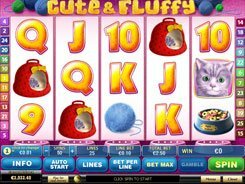 The Cute and Fluffy is a funny 5-reel online video slot for pet lovers packed with kittens, puppies and other animal care symbols. 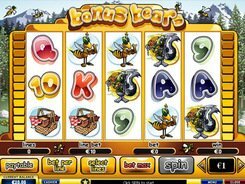 Regardless of the child-like design, the jackpot of 10,000 coins speaks for the focus on adult gamers. You can select the coin size and place a wager on any of the 25 paylines. Bonus features in Cute and Fluffy are really unique. If you come across the Bone on any reel, the puppet drops it into a bowl under the reel where it has got hit. When the plate is full, you receive a prize worth four times your bet. Besides, you get 5 free games with x2 multiplier. 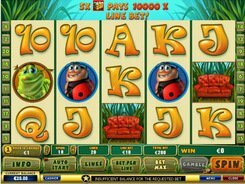 During the free spins more bones may appear on the reels giving you additional spins. 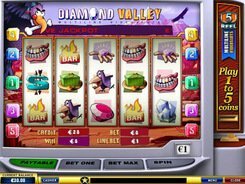 The Gamble round is another great feature that optionally starts after you’ve made a winning spin. Select a facedown card, and if turns out to be higher than the dealer’s card, your win will be doubled. 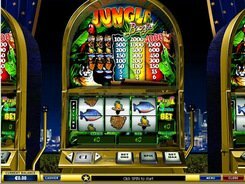 You can then continue the gamble round trying to quadruple the win, or take the money. PLAY FOR REAL MONEY!